Here are ten tell tale signs that you should put down the ice pack, stop taking the advil and go see a chiropractor right away. Your Job Requires you to Sit for Long Periods of Time. There are many people who will wait to see a chiropractor until something terrible has happened or they can hardly bare the pain symptoms they are feeling. Many people only think to see a chiropractor when something has gone wrong instead of seeing one as a way to prevent something from going wrong in the first place. There are many benefits to be gained by going to see a chiropractor that can dramatically improve ones physical and emotional well-being. Most people know it is time to see a chiropractor if they are experiencing back pain. However, there are other signs that should not be ignored. Headaches can be caused for a number of reasons, including dehydration, malnutrition, oxygen deprivation, or there could be a misalignment in the neck or spine. A chiropractor can help to relieve symptoms of headaches and improve blood flow which will increase the amount of oxygen that is supplied to the brain. Your chiropractor may also recommend a change to your diet to help you improve your overall health. If you are experiencing pain in your muscles and joints your first reaction should not be to get the aspirin out of your medicine cabinet. Your pain could be due to problems with the musculoskeletal alignment. A chiropractor is trained to make sure your body is functioning as optimally as possible by using spinal manipulations to relieve pain in your joints and muscles. These spinal adjustments will increase blood flow and nerve conductivity to the joints and muscles that are experiencing pain. If your job requires you to sit for long periods of time, especially hunched over a keyboard, it is not uncommon to wind up with very poor posture. Poor posture will put unwanted pressure on the upper back, neck, and shoulders. The pressure can cause the discs and bones to shift enough to cause problems such as a slipped or herniated disc. A chiropractor will make sure your spine is aligned correctly, so you do not run into any future problems. One of the most obvious signs that a chiropractic visit is needed is if you are experiencing chronic back pain. There are multiple factors that can contribute to back pain such as posture, how long you're on your feet each day, and the type of work that you do. If you begin to notice that the soles of your shoes wear out differently, this is a sign that your body is out of alignment and needs to be adjusted. Uneven wear on your shoes is a very reliable indicator that you are experiencing a subluxation in the spine and need a chiropractic spinal manipulation to realign your spine, so the problem does not continue and turn into a chronic issue. If you notice that your arms and legs are not as flexible as they used to be, or if your neck won't turn as far in one direction or the other, this is a good indication that you need to see your chiropractor. 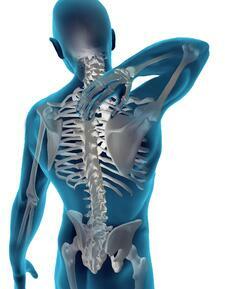 Chiropractic adjustments realign the bones and joints, relieving pain and increasing the bodies range of motion. Having normal range of motion will help the body to function optimally. Being involved in an accident such as a car or motorcycle collision, can cause serious injuries that only an experienced chiropractor can help heal. Many chiropractors specialize in car accident injuries, and are able to diagnose and properly treat a multitude of different injuries. After being involved in an accident, seeing a chiropractor should be your top priority. If you are experiencing a sharp, shooting pain in your legs or tingling and weakness, this could be a sign that you are suffering from a pinched nerve or slipped disc. A trained chiropractor will be able to diagnose the cause of the pain in your leg and will perform a spinal adjustment to alleviate the unwanted pressure that is being placed on the nerve and causing you pain. If you have an active lifestyle and spend time working out or playing sports, your body is subjected to additional strain and pressure. This added stress can cause the spine to become misaligned. After spending time engaging in these activities, the body can become prone to pinched nerves, slipped discs, or other alignment problems. Seeing a chiropractic doctor on a regular basis will help to keep your body functioning at its prime so you can continue to live the active lifestyle that you love. If you want to live a more health conscious life, or just want to be more aware of how to best take care of your body, your chiropractor is an excellent source of information. Your chiropractor can provide you with exercise routines, nutritional guidance, and specific techniques to help relieve stress. All of this along with the spinal adjustments will help to improve your physical and emotional well-being. So, what are you waiting for? Contact the Top Chiropractic Doctor in Georgia today! If you can relate to any of the signs mentioned above, its time to pick up the phone and contact your local chiropractor in Georgia today. 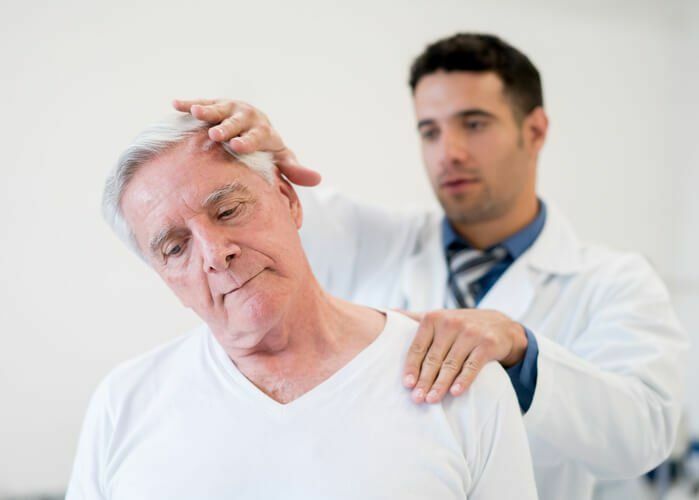 The Chiropractic Doctors at Arrowhead Clinics have been helping those in pain for over 40 years. Our doctors have the experience and training to diagnose and properly treat any pain condition thatyou may be experiencing. We also specialize in accident injuries, whether you were involved in a car accident, slip and fall, or work-related injury; our doctors will come up with a specialized treatment plan that is unique for your particular injury. If you are experiencing pain, were injured in an accident, or just want to improve your overall health and wellness, Arrowhead Clinic is the place to go. Click on the link to schedule a free consultation with Georgia's Premier Chiropractic Doctors today.